Former Sackler School dean and pharmacology pioneer Louis Lasagna also penned a modern Hippocratic oath. 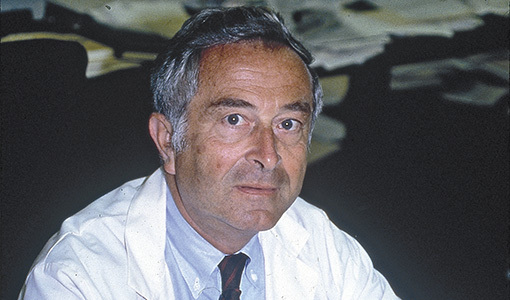 Longtime Sackler School dean Louis Lasagna—he led the school from 1984 to 2002—started his career in pharmacology, conceptualizing controlled clinical trials and proving that the placebo effect was real and demonstrable. And in 1964, while an associate professor at Johns Hopkins Medical School, Lasagna suggested a modern take on the Hippocratic oath in The New York Times. His rewrite was quickly adopted by medical schools across the country—33 percent of 135 schools polled in 2009 reported administering Lasagna’s words. Here, alumni and current students reflect on some favorite lines of the oft-recited oath.